On Sunday 27 April 2014, the club members and partners headed to Aveneue Fisheries to get the long awaited results of the Winter Grow and Show. The weather looked like it could bucket down at any moment but thankfully held which was really handy. As a side note if you were unable to make the day Avenue has a huge number of lovely koi to suit all budgets and is definitely well worth a visit especially wth the two new ponds coming on line in the next month or so. The two prizes on offer were for the winners of greatest % growth and for the best development. 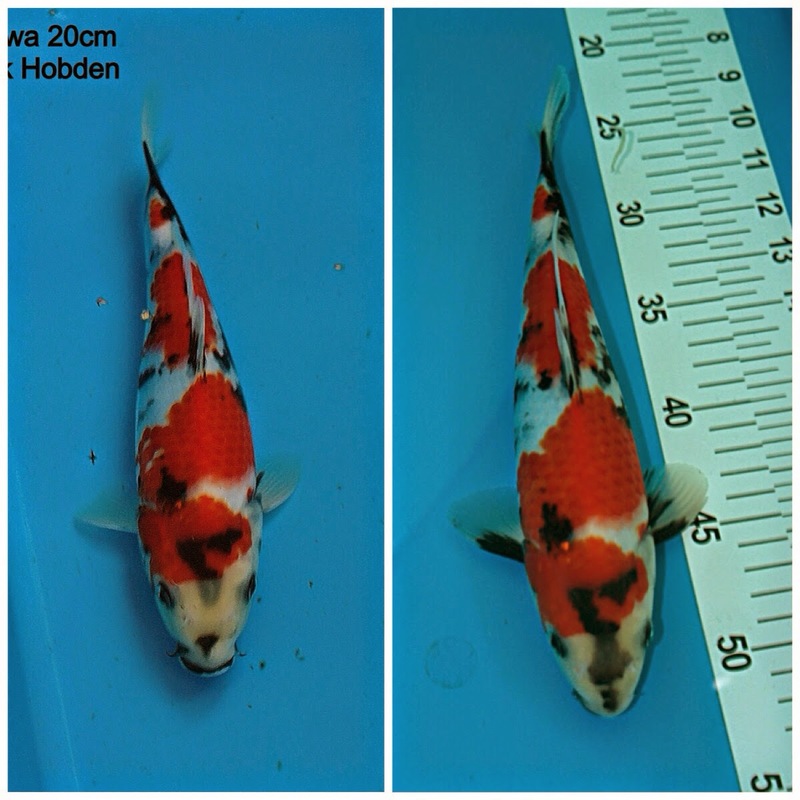 1st - Mark Hobden's Showa growing 40% from 20cm to 28cm. 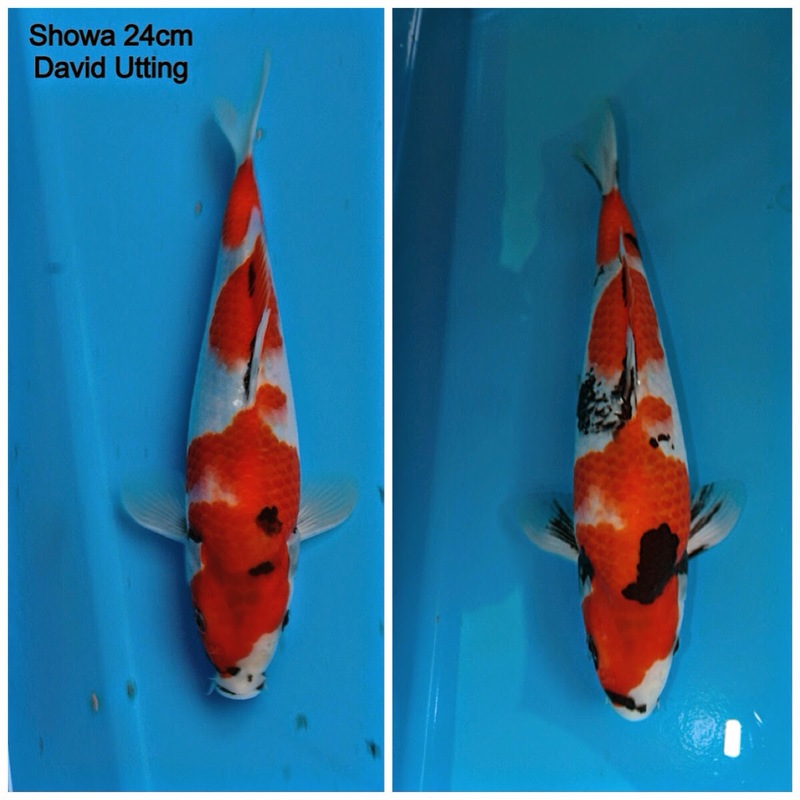 Also worth a mention here were Paul Randall's Ginrin Showa, Steve Payne's Showa and also Mark Hobden's Showa. This was definitely a year for the Showa's performing really well against a number of sankes and kohakus. A huge thank you to everyone that attended and it was good to see a number of partners joining us. Without everyone's support these events wouldn't be possible, so many thanks for your participation. A big final thankyou to Steve and Pam for putting on another superb event. Your hospitality and welcome to the club was as always was second to none. The vouchers were greatly received by the winners! !